The most exciting part of the Fall season has arrived – It’s Halloween! Kids & Company loves Halloween, almost as much as we love sharing the holiday with all of our kiddies and parents! To get your kiddies even more amped up for the trick or treat season, each year we have them participate in an annual national contest to see who can make the creepiest, scariest masterpiece out of veggies. The food items given this year are: broccoli, cauliflower, carrots, corn, cherry tomatoes, raisins and pita. Last year we had the best entries yet, so we know it will be an even harder decision this year! Help the Kids & Co Team decide on a winner by liking the Creepy Crudité entries on Facebook November 1st through November 6th . The winners will be announced on next week’s blog and are determined by our parents and the Kidco Kitchen panel who will review the scary submissions. The winning centre will receive a spooktacular prize! 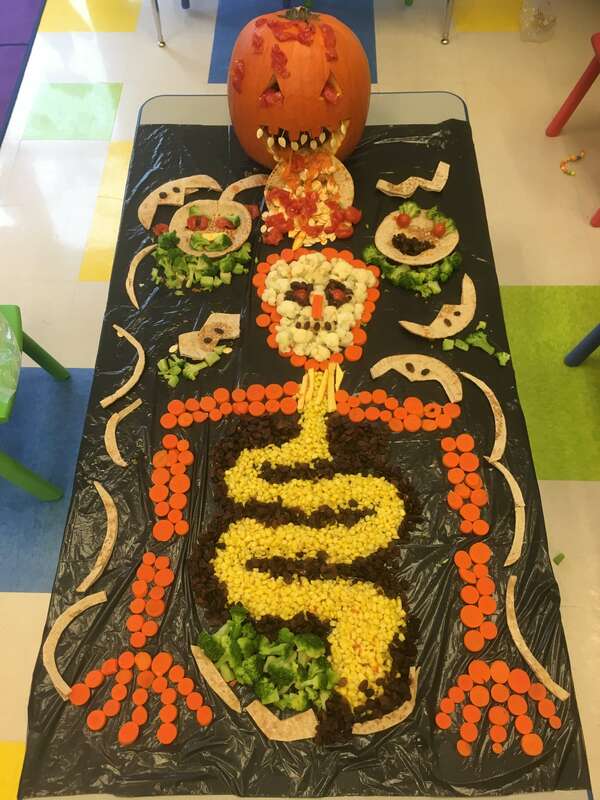 Your children can participate in the contest across all of our centres and we encourage you to create your own creepy crudités at home! We are inviting all of our parents and kiddies to use their imagination to design spooky creations using veggies and food. Check out our amazing winner from last year! Using the hashtag #OurCreepyCrudite share your creations with us on Instagram, Twitter and Facebook.